Discussion in 'GPS Tracks - Central, Texas & Gulf States' started by Cannonshot, Dec 1, 2018. 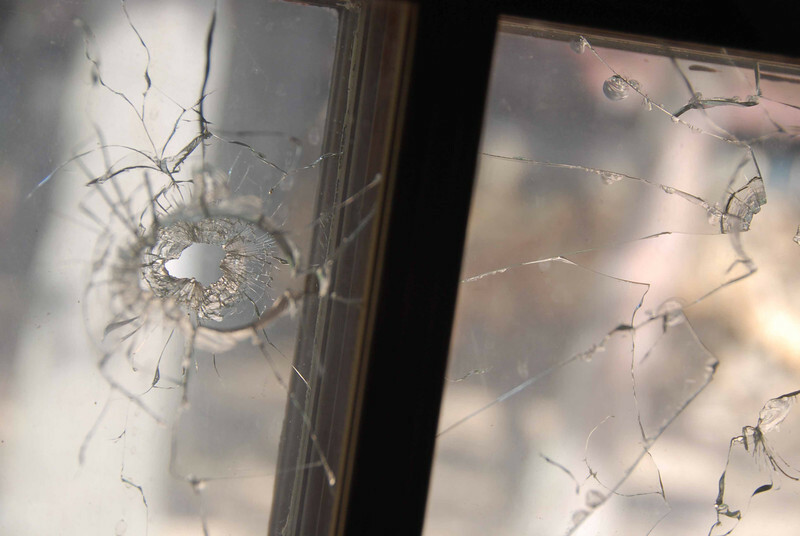 This is a transfer of GPX files from a previous site where these files were viewed 115,756 times. These rides are based out of the scenic northwoods community of Boulder Junction which promotes itself as a dual sport destination. This ride catalog allows people to come to Boulder Junction on their own for weekend rides or much longer. The catalog also supports the Central ADV Rally when it is held in this community at Camp Holiday. This map depicts some of the rides being offered in this catalog. There are more than 20 different ride opportunities listed here. 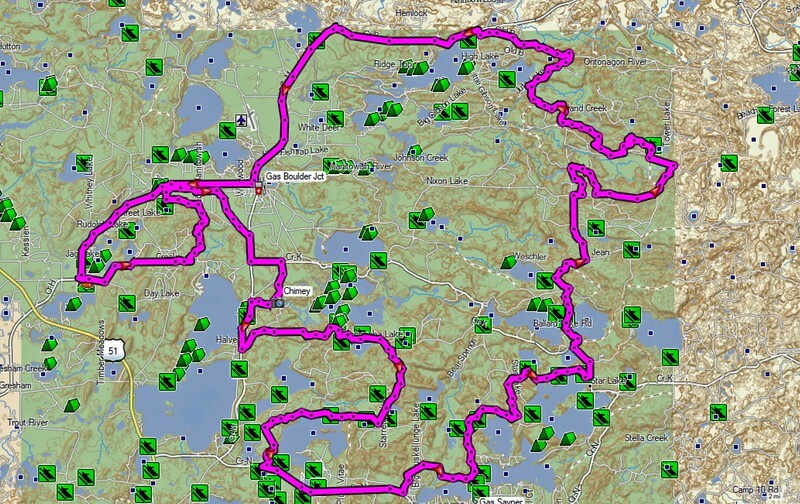 The following posts will list individual rides and have GPX files available for you to download. Tiger993, FarmerKeith and Fast1 like this. 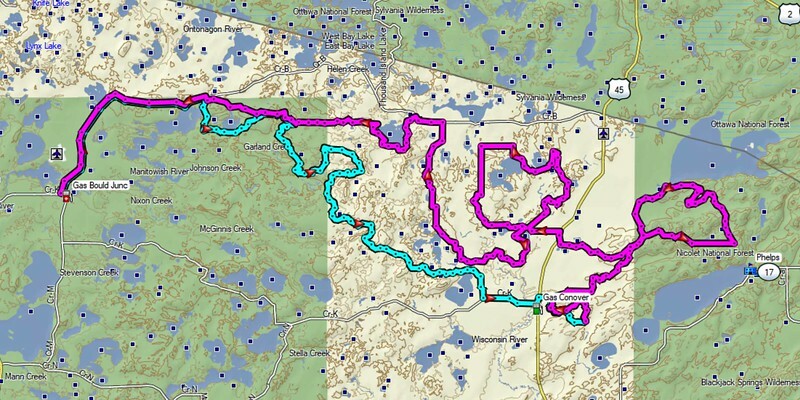 This is a 154 mlie road ride (each way) that leads you from Boulder Junction to Aerostich in Duluth and back. 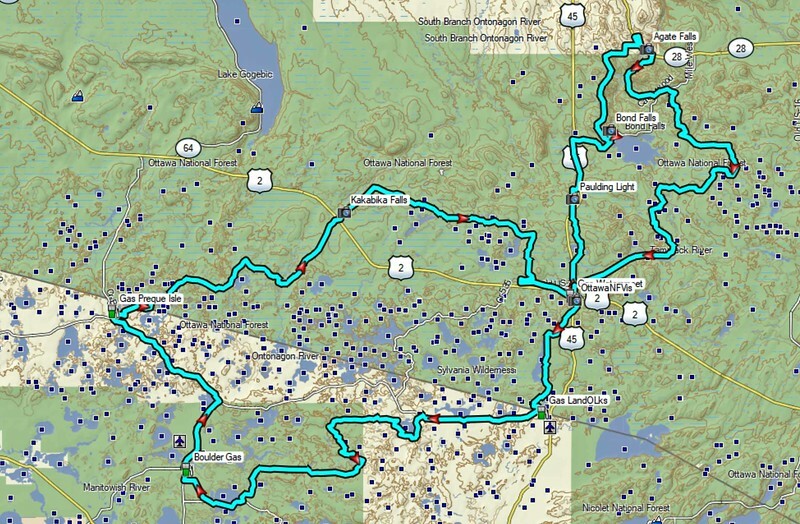 This file contains both a road route and two separate and very entertaining DS routes that lead from Boulder Junction to Bayfield. There is also a separate road route to continue on to Aerostich from Bayfield for road riders. There are a couple of "bail out" segments that allow you to head for a road route if you end up short on time. 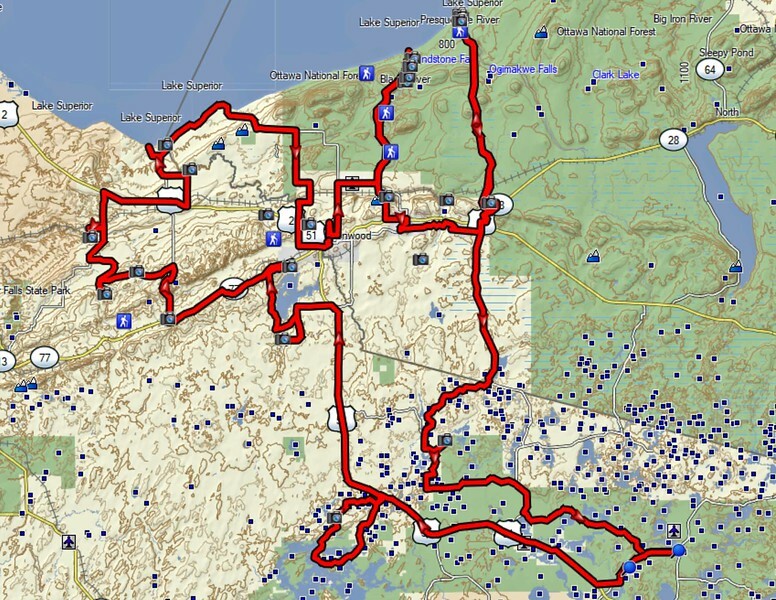 The DS paths are about 220 miles to Bayfield and 225 on the return route. 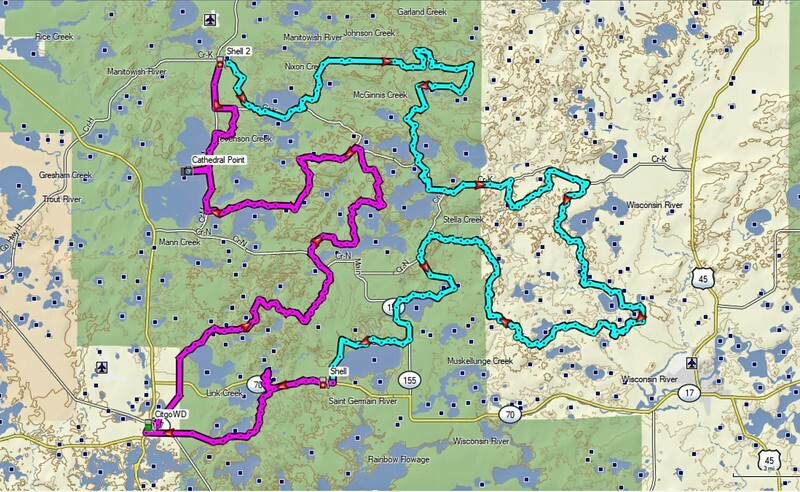 This is a 155 mile dual sport ride that makes use of a variety of entertaining roads and forest roads. Gas and lunch are available on the path. 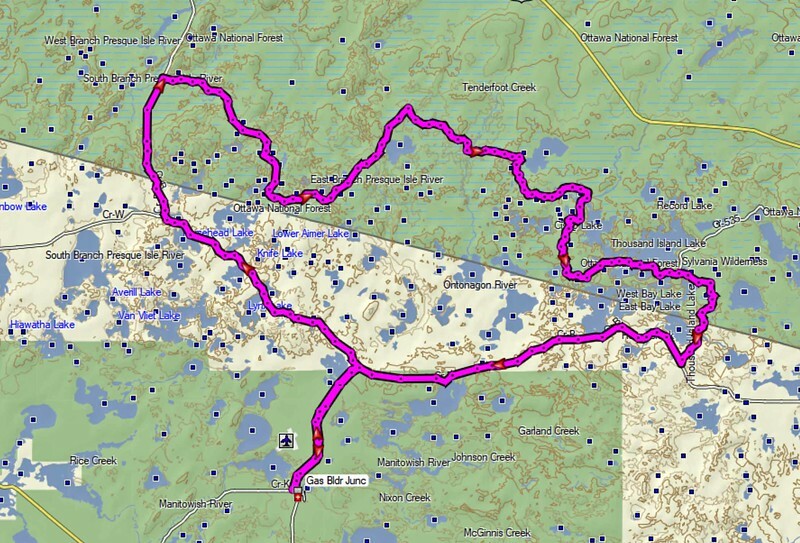 There is also a single track OHM trail near Conover (Tamaracks) for which there are tracks posted later in this thread. 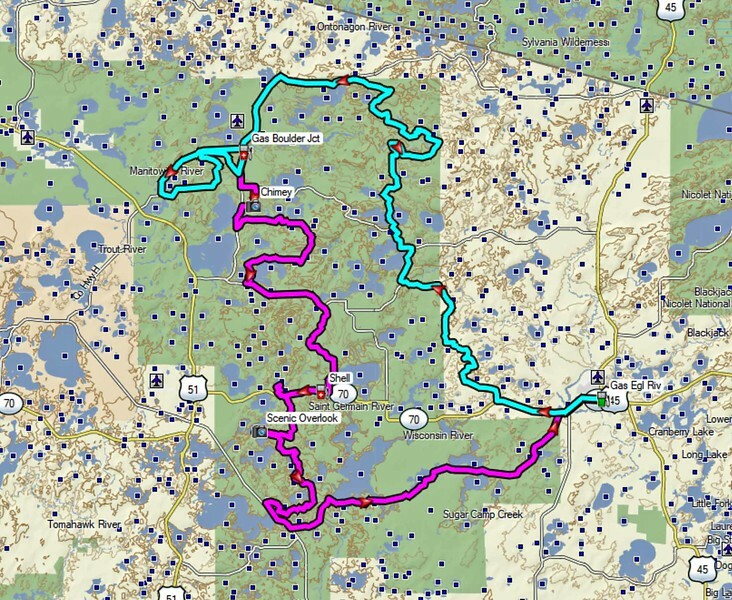 This a 121 mile dual sport ride that enjoys some of the Norther Highland American Legion State Forest. 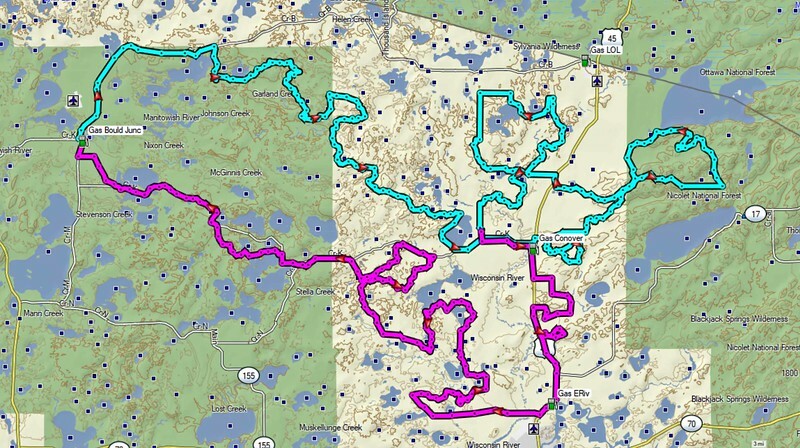 This is a 215 mile dual sport ride that takes in the very entertaining Flambeau Motorized Trail system in the national forest. Boulder to Flambeau Abbreviated (a shorter version that only uses the eastern segment of the previously posted Boulder to Flambeau ride). This is a 109 mile dual sport ride. 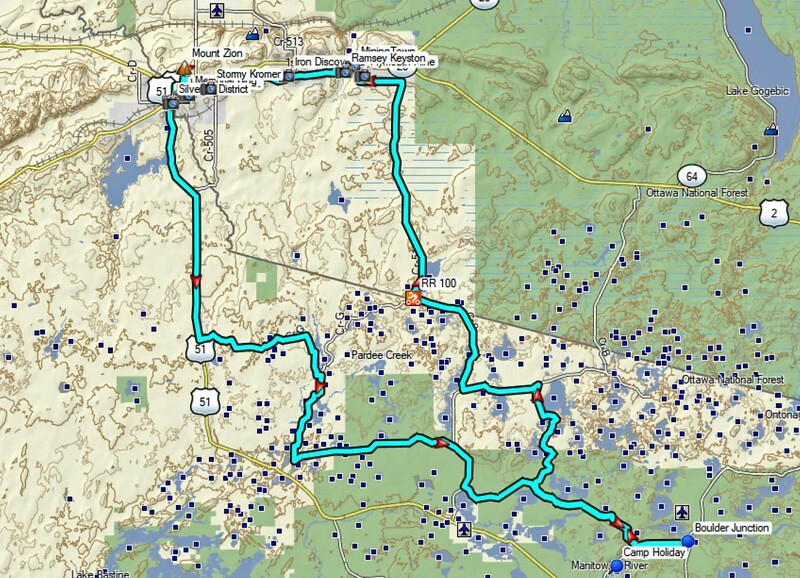 This is a 185 mile road ride that visits several locations involved with gangsters (Dillinger, Capone, etc). The locations are extracted from this ride report: Gangster Tour. It incorporates some entertaining road riding as well. 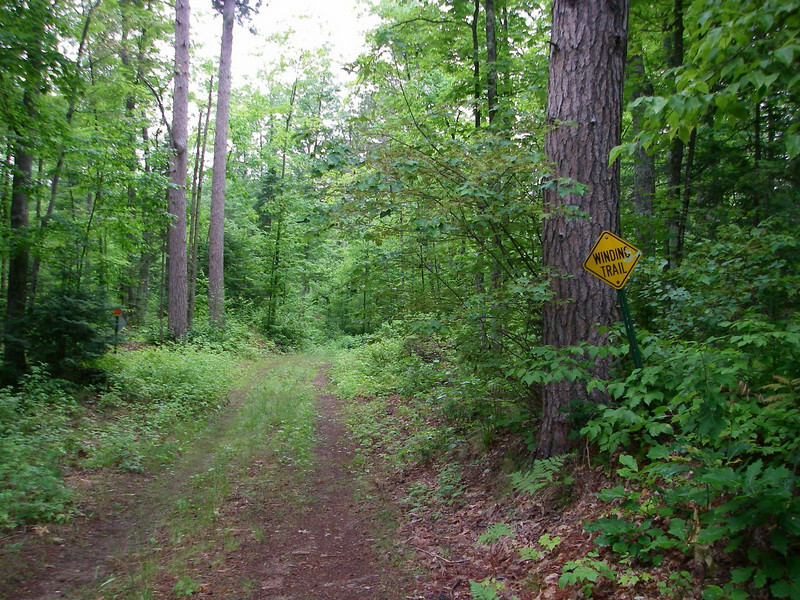 This 31 mile road ride takes you over to Little Bohemia and back. 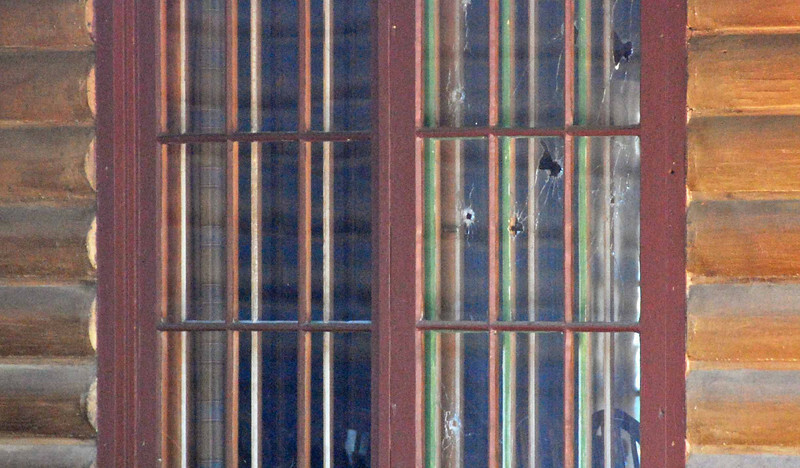 Little Bohemia was the site of a shootout between gangsters and the FBI and bullet holes are still visible. Pictures are in the ride report linked in the above post. 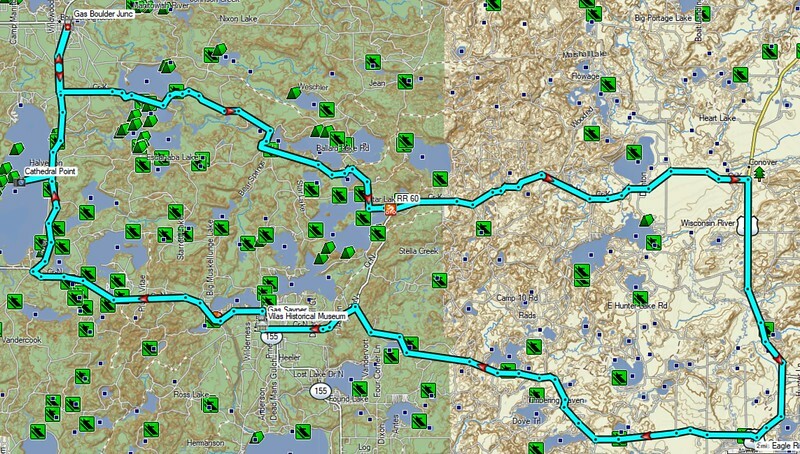 This is a 191 mile road ride that takes in some interesting history and features in Iron County. 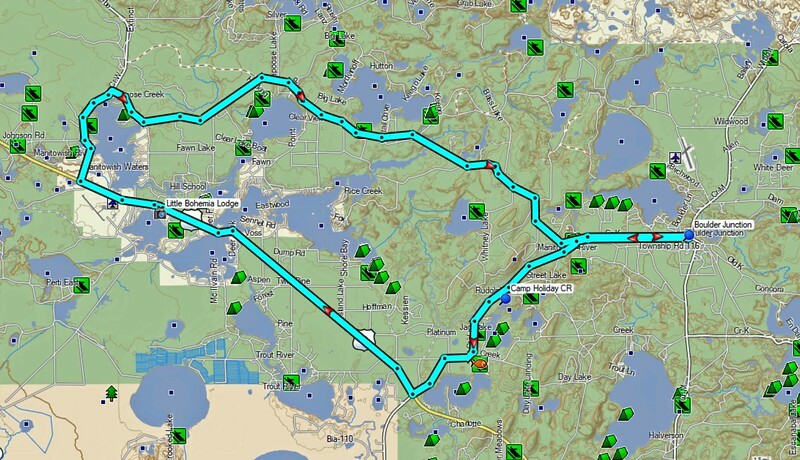 It is drawn from this ride report: CannonRide Through Iron County. 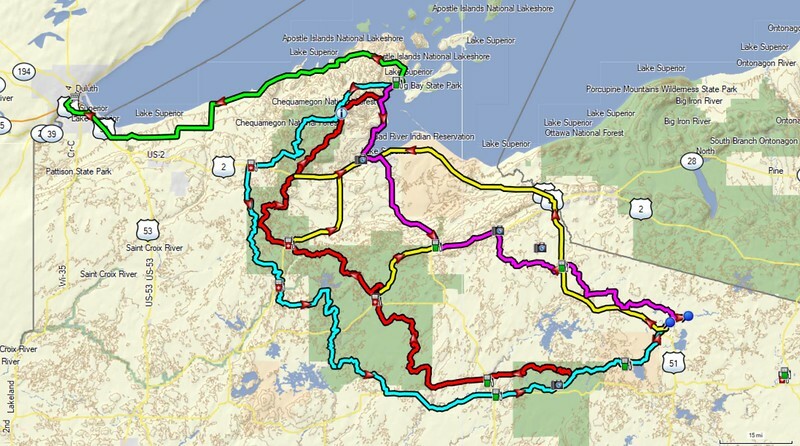 This is a 400 mile round trip ride from Boulder to the tip of the Keweenaw Peninsula. There are dual sport and road routes in the file. 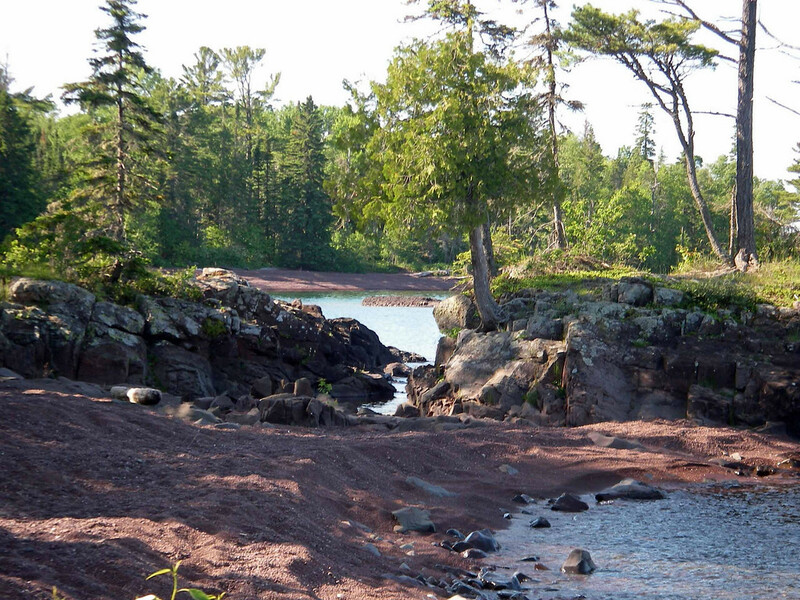 This is often considered an overnight trip with primitive camping available at the tip or motel accommodations in Copper Harbor. 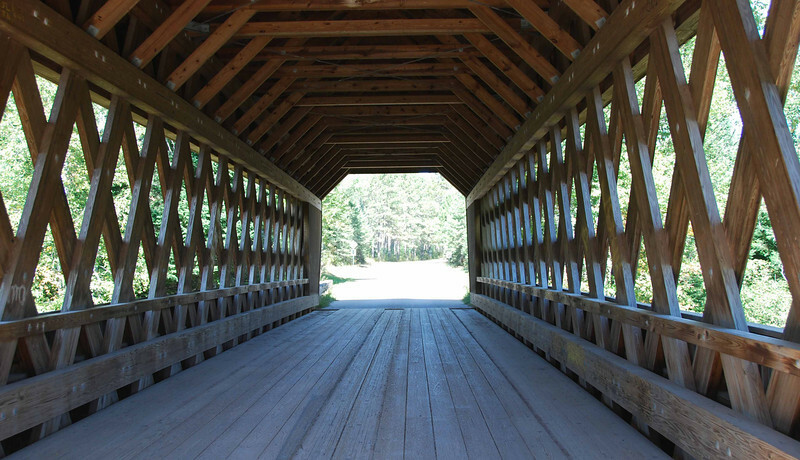 This is a 256 mile ride that takes in some long stretches of railroad grade that was converted to a multi-use trail. Scenice and interesting. This is by far the most popular dual sport ride in this area. 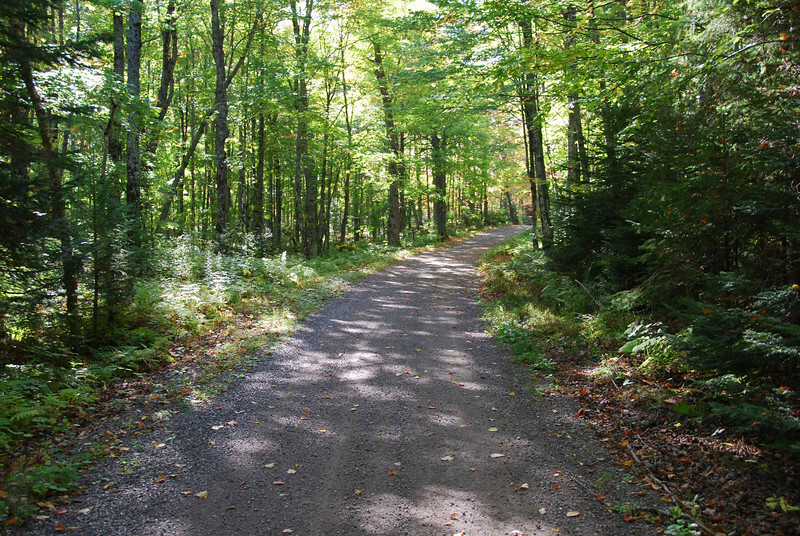 It is 138 miles long and takes in some outstanding paths in the Northern Highland American Legion State Forest. NHAL path. 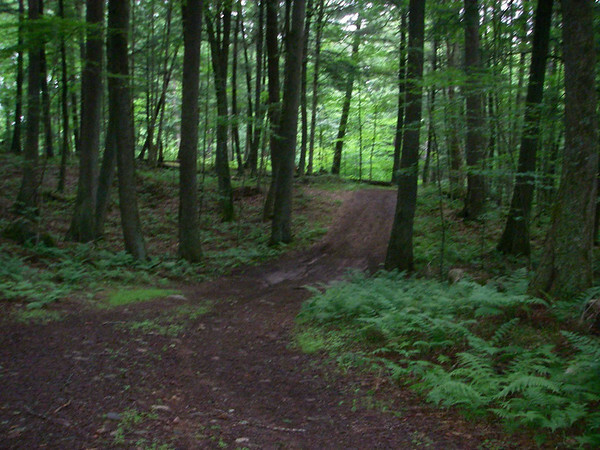 This is a 71 mile version of the NHAL that provides an opportunity for a quick and shorter ride through the forest. It includes a portion of the longer ride in the previous post. 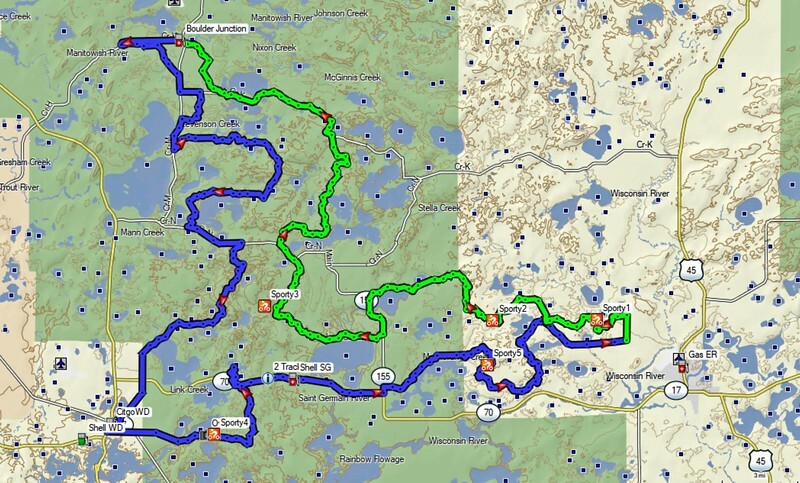 Boulder to NW WI Waterfalls. 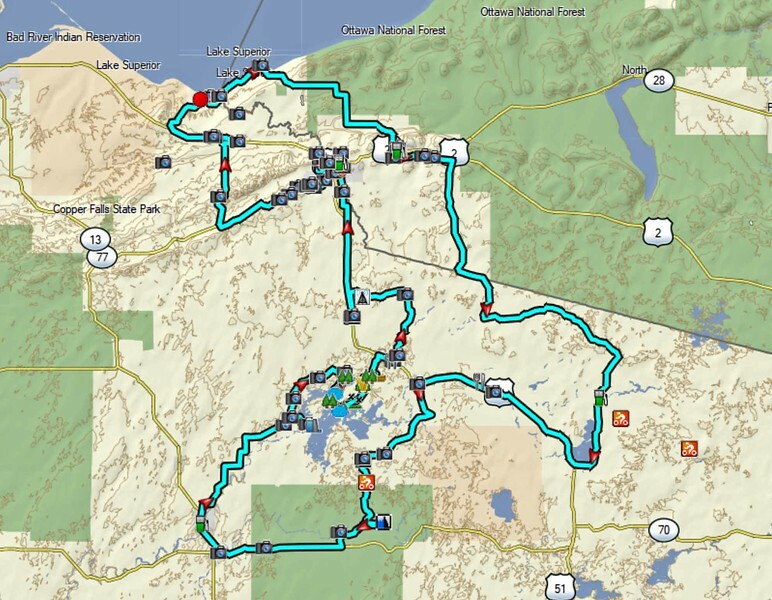 This 297 mile road ride takes in some scenic waterfalls in NW WI. Waterfalls. 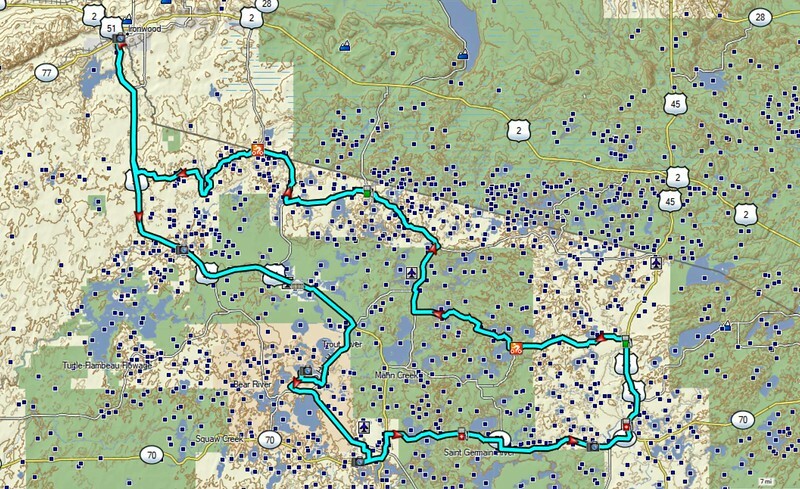 This is a 113 mile dual sport ride using a combination of entertaining roads. 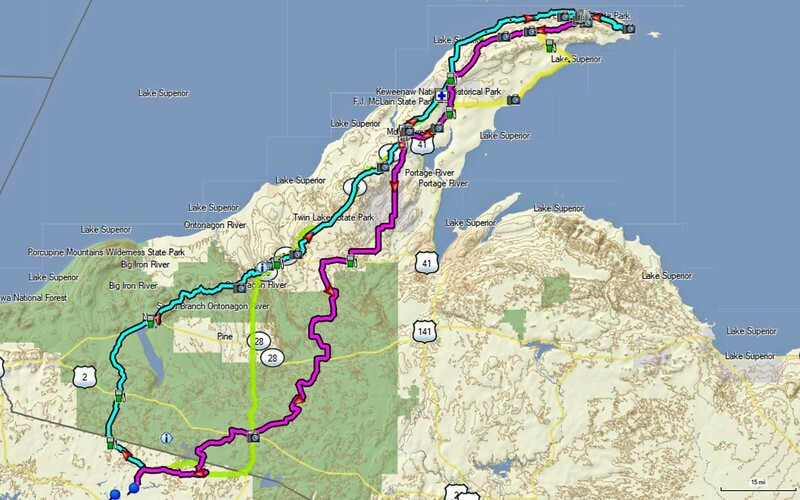 This is a 64 mile road ride that takes in some nice twisties. 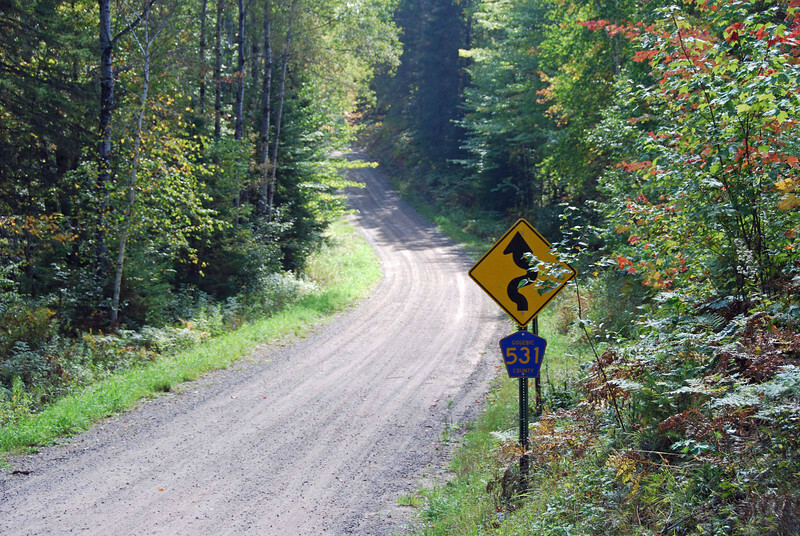 This is a 68 mile ride along the WI-MI state line that takes in some scenic forest roads. 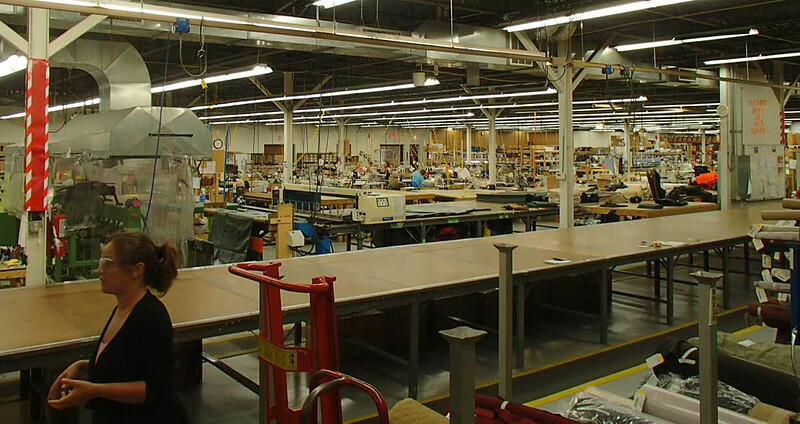 This is a 110 mile round trip road ride to Stormy Kromer where you can take a factory tour or buy something in their company store.